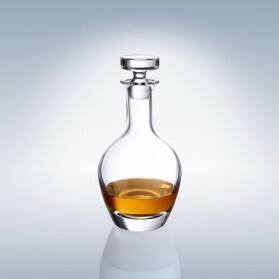 Whisky Decanter Wine Decanter There are 11 products. Decanting means that pouring wine from a wine bottle to another vessel (Wine Decanters) but there are more behind. 1. 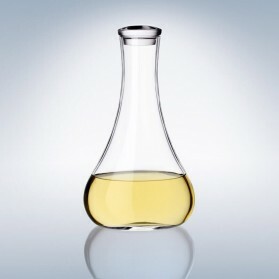 Sediment separation: In general, wine in a bottle contains sediment that is separated during pouring wine to another vessel (wine decanters). So the residue is left in the original wine bottle. However, the need to decant for this purpose has been reduced significantly at present as most of the wines nowadays are no longer containing sediment not as much as they were in the old ages. 2. Aeration: This is the primary reason for decanting. 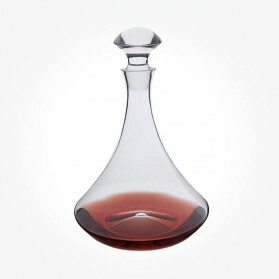 The wine decanter is meant to mimic the effects of swirling the wine glass to stimulate the oxidation processes which trigger the release of more aromatic compounds. Also, it is thought to benefit the wine by smoothing some of the harsher aspects of the wine like "Tannins." "Carafe" but it is not supplied with a stopper. Choosing a quality decanter is imperative as clear crystal decanter allows you to see wine in the decanter in its best colour and clarity. Sipping wine after appropriate decanting time while seeing the clear colour of its wine in a great design decanter is one of the ways of rewinding the day. 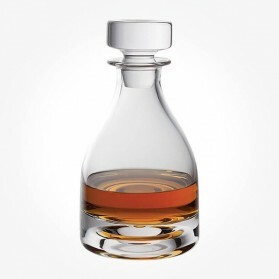 This perfect whisky carafe No. 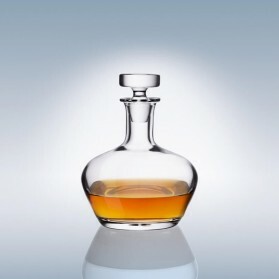 3, the lagest size by Villeroy and Boch that has 212mm wide shape meets your whisky drinking requirement. 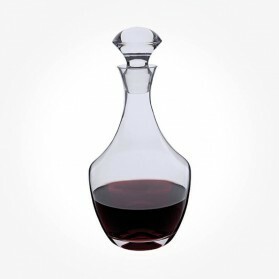 The shape of this wine decanter was designed simple and more casual use everyday or at the party occasions. Surprisingly unusual Jette Joop-designed wine decanter with stainless steel rack stand accomplishing perfect aering performance via allowable 45 deg angle. 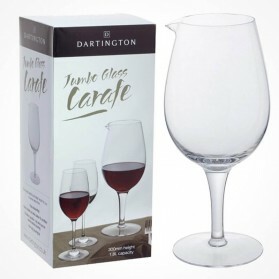 A simple, all-purpose glass carafe that can be used for any still wine as well as water and other drinks. Made of lead free crystal. 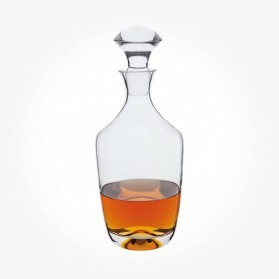 A handsome handmade glass decanter for serving spirits and wine. A lovely gift that can also be engraved for that personal touch. 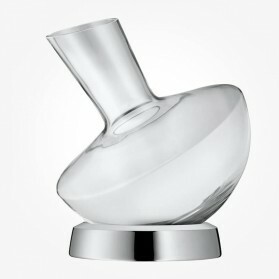 A lovely wine decanter for serving any still wine, Regatta by Dartington Crystal. A good all purpose decanter for any still wine. The wide shouldered profile helps maximise aeration and the easy to hold neck allows smooth pouring every time! 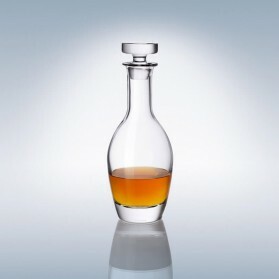 A handsome handmade glass decanter for serving whisky and other spirits. 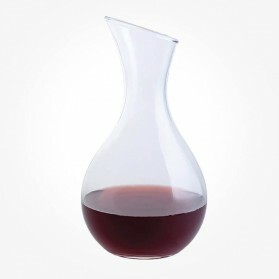 This novel wine carafe / decanter from Dartington is an ideal vessel for you to serve wine from. - Easy decanting - Good visibility of wine colour & condition - Excellent aeration - the wine can be swirled before pouring- Non drip pouring lip.